Venezuela is a key transit country for drug shipments going from Colombia to the United States and Europe. The illegal drug trade has traditionally been controlled by foreign organizations, particularly Colombians, attracted by poor rule of law and corruption. However, there is evidence that beginning in the mid-2000s corrupt elements in the security forces stepped up their role in the business, forming a loose network dubbed the “ Cartel de los Soles ” (Cartel of the Suns). Corrupt members of the security forces have also been major providers of weapons in the black market, to the benefit of Colombian guerrilla groups like the Revolutionary Armed Forces of Colombia ( FARC ) and the National Liberation Army ( ELN ). Human trafficking , money laundering , and the precursor chemical trade are other problems for Venezuela’s struggling law enforcement. Venezuelan cities also have a major problem with street crime and urban gang warfare, giving Caracas one of the highest homicide rates in the world. Venezuela’s 2,200 km border with Colombia means it has been impacted by security problems in the neighboring country. Its long coastlines along the Caribbean, sparsely populated jungles and plains, and proximity to other Caribbean transit points like Puerto Rico, Trinidad and Tobago, and the Dominican Republic have also helped turn Venezuela into a major smuggling route for narcotics. Venezuela has been the site of activity by criminal organizations from Colombia, Brazil and Europe. Colombian rebel groups the FARC and the ELN use border states like Apure, Tachira, and Zulia as refuges. Venezuela also has homegrown organizations, such as the corrupt officials known unofficially as the Cartel of the Suns, and guerrilla group the Bolivarian Liberation Forces ( FBL ). The Venezuelan Armed Forces are made up of the army, navy, Aviation, National Guard, and the National Militia. There is evidence that corrupt factions in all these institutions, particularly the National Guard and army, are deeply involved in organized crime and the cocaine trade. Former President Hugo Chavez oversaw the creation of the National Bolivarian Police (PNB) in 2009, which has since continued to expand and is meant to eventually become a nationwide force. There is also the municipal police and the CICPC agency, which is responsible for criminal investigations. Venezuela’s defense budget rose steadily under Chavez, with much of the resources spent on arms acquisitions. Chavez’ successor, President Nicolas Maduro, has promised to make security a primary focus of his administration. Contraband alcohol, Colombian emeralds and tobacco were among the earliest illicit trades in Venezuela , along with the trade in African slaves. Another lucrative contraband good to come out of Venezuela was the “black gold” of the 20th century: gasoline. Fuel is now smuggled from Venezuela to Colombia, often along the same routes as cocaine, but in the opposite direction. The dictatorships of General Juan Vicente Gomez (1908-1935) and General Marcos Perez Jimenez in the 1950s helped make Venezuela one of the most unequal societies in the world. Their regimes were corrupt and brutal, and the upper classes were allowed to ransack the country, but these leaders are credited with building up Venezuela’s infrastructure. (Ironically, the relatively high quality of this infrastructure, including highways and ports, would later make Venezuela an attractive transit country for the cocaine trade.) The inequality fueled the rise of violent guerrilla movements in the 1960s. By the end of the decade, many of these groups had chosen to accept an amnesty offered by the government. The rebel leader who refused, Douglas Bravo, maintained several guerrilla cells in the cities and the countryside. He would later become an adviser to the Chavez brothers, Adan and Hugo. One of the first foreign organized crime cells to establish a significant presence in Venezuela was a clan from Italy’s Cosa Nostra. Members of the Cuntreta and Caruana families settled in Caracas as part of a wave of Italian immigrants who established themselves in Venezuela after World War II. In the 1980s and 1990s, the Caruana family became involved in trafficking cocaine and heroin from Colombia to Europe, via a connection with the Cali Cartel. In the 1980s, Colombia’s drug cartels became the world’s biggest distributors of cocaine, marijuana and heroin, and Venezuela inevitably felt the impact. In a pattern that would continue for decades to come, whenever Colombia cracked down on drug trafficking groups, they would respond by shifting more of their operations to Venezuela . The economic crisis which affected Venezuela in the 1980s, nearly doubling unemployment, also helped the expansion of the drug trade in the country. Violence in Colombia was another factor: displaced people fled across the border, providing more contacts in the neighboring country for Colombian traffickers. Active and retired members of the security forces have been involved since the very beginnings of Venezuela’s drug trade. A major from the army reserve was caught with 667 kg of cocaine in a small aircraft in 1983, in one of the biggest seizures that had yet been registered in South America. Other cases of official misconduct followed: a retired major arrested with 136 kilos of cocaine in 1984, and a military general, who was also the former president of the army’s martial court, caught with 453 kilos in 1985. The army was not the only institution to be corrupted by the drug trade. In 1987, a congressman was arrested in Carabobo state with a small shipment of cocaine in his car. Even the church was implicated, when a priest was arrested for cocaine smuggling in 1988. None of these cases involved homegrown Venezuelan trafficking organizations, but people working for Colombian groups. However, even at the very earliest stages of Venezuela’s drug trade, cocaine was leaving Caracas to South Florida by boat and plane, loaded with hundred-kilo and even multi-ton shipments. The expansion of the drug trade became a hot topic in the 1988 presidential elections. One presidential candidate, Vladimir Gessen, called Venezuela “the biggest storage point for Colombian drugs headed to the US or Europe.” Medellin Cartel leader Fabio Ochoa insinuated that he had given a $80,000 purebred horse as a gift to future President Carlos Andres Perez. According to the trafficker, Perez offered to help rescue Ochoa’s daughter, who had been kidnapped by Colombian guerrilla group the M-19. By the early 1990s, there were signs that drug trafficking had penetrated Venezuela’s security and political elite in a more systematic manner. In June 1991, the director of military intelligence was removed from his post after his car was discovered at a drug trafficker’s house. That same year, former Caracas Governor Adolfo Ramirez Torres, who had overseen anti-narcotics affairs in the Interior Ministry, was arrested on drug trafficking charges. The corruption even extended to Venezuela’s Embassy in Washington DC, whose adjunct military attache was arrested in a Drug Enforcement Administration (DEA) sting operation in 1992. In another puzzling affair, interim President Ramon Jose Velasquez pardoned a Medellin Cartel drug trafficker in 1993, allowing his release from Venezuelan prison. Such prominent corruption in the security forces, the political arena, and the judiciary would prove to be a major hindrance to Venezuela’s investigations into organized crime for one administration after another. 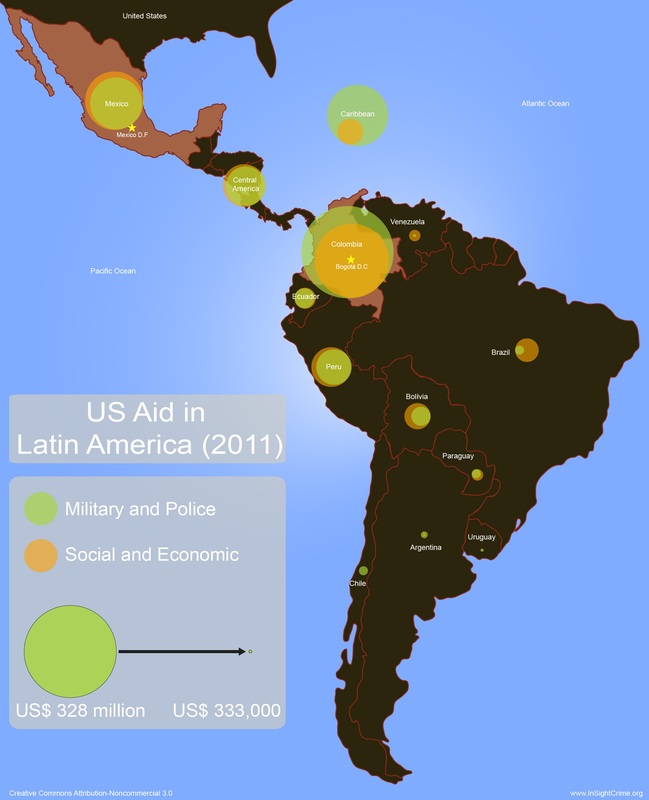 In light of Venezuela’s growing status as a key transit country for Colombian traffickers, the government began signing narcotics control agreements with the US government in 1987, under which the US offered training and support to the Venezuelan security forces. But some of this aid proved controversial: a CIA anti-drug program was later found to have allowed the export of nearly a ton of cocaine to Miami in 1991. The scandal crippled the CIA’s anti-drug work inside the country and damaged the trust between the US and Venezuela on drug aid issues. A National Guard general who worked with the CIA, Ramon Guillen Davila, was later indicted in the US for drug trafficking, in the first prominent case of a National Guard official being complicit in organized crime. This history shows that drug trafficking, corruption, and ties between the security forces and organized crime were serious problems long before Hugo Chavez came to the presidency in 1999. 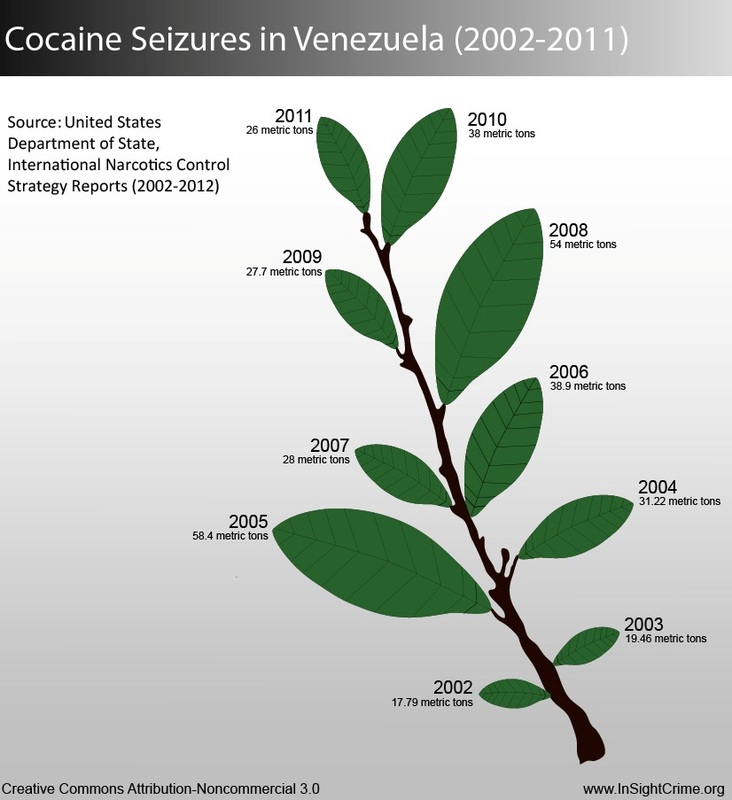 The US had stated in 1996 and 1997 that Venezuela’s anti-drug actions were insufficient. In 2005, the Chavez administration severed its relationship with US law enforcement agencies, including the DEA. That year, the US found that Venezuela had “failed demonstrably” to meet its obligations to fight drug trafficking. Chavez’s stance was in stark contrast to that of Colombia, which began relying more and more heavily on the US for assistance in its battle against drug trafficking and crime. The US-funded Plan Colombia would break the power of rebel groups the FARC and the ELN , but pushed the guerrillas to move to safer ground, in Venezuelan border states like Apure, Zulia, and Tachira. This fed rumors that Chavez was sympathetic to the Colombian rebels, offering them financing and protection. Certain statements by Chavez encouraged such beliefs, such as his remarks that the FARC was “not the enemy” of Venezuela . The Colombia and US government also criticized Venezuela’s refusal to label the FARC a “terrorist” organization. As well as expressing ideological sympathy for the rebels, the government pursued splinter paramilitary groups in western Venezuela with far more energy than they pursued the guerrillas. Weapons and ammunition from official stockpiles were regularly found in the hands of the FARC and the ELN rebels. Intelligence that the Colombian government said it found in computer files in the camp of slain FARC commander alias “Raul Reyes” also pointed to complicity between the Chavez government and the FARC . In the late 2000s, international agencies warned that an increased amount of narcotics was being moved through Venezuela . Some 41 percent of all cocaine shipments to Europe passed through Venezuela , according to a 2010 report by the United Nations Office on Drugs and Crime (UNODC). Other incidents involving transatlantic drug flights also raised concerns, especially after the burned remains of a Boeing 727 was found in Mali in 2009, which UN officials said was a drug flight which took off from Venezuela . Government ties with organized crime have deepened since the early 2000s. Beginning in the mid-2000s, elements in the National Guard and army moved from accepting bribes in exchange for allowing drug shipments to pass, to actually storing and transporting drug shipments themselves. Drug trafficker Walid Makled, who was arrested in Colombia in 2010 and extradited to Venezuela , claimed that the highest levels of the Chavez regime had been involved in the drug trade. Venezuela continues to face a number of other serious security problems. The judiciary is politicized and almost incapable of carrying independent investigations. The Chavez government manipulated cases for political reasons, with judges and prosecutors dismissed for opposing Chavez allies. The government’s decreasing effectiveness in enforcing the rule of law helps explain why Venezuela has one of the highest homicide rates in the world, with 73 murders per 100,000 inhabitants in 2012, according to research institute the Venezuelan Violence Observatory. Gun control measures implemented by the Chavez administration in its late term appear to have had little effect on violence levels. Street crime and kidnapping also rose dramatically during the Chavez administration. Another problem is the notoriously brutal prison system, with many facilities run by criminal bosses known as “pranes.” Despite the creation of a Prison Ministry in 2011 and promises of reform, over 500 inmates died in Venezuelan prisons between July 2011 and July 2012. Following Chavez’ death in early March 2013, President Nicolas Maduro was elected in April. The new president promised to make security a primary focus of his administration. Shortly after Maduro’s inauguration, the government backed the creation of a special homicide police unit and the deployment of the armed forces to fight crime. The government also announced renewed plans to combat fuel smuggling in the Colombian border region. However, much of Maduro’s rhetoric has followed that of his predecessor, raising questions of whether he will tackle Venezuelan security concerns such as embedded corruption and a politicized justice system. In addition, Maduro’s narrow margin of victory and ensuing post-election chaos in the country illustrated a deep political divide in Venezuela , which may signal trouble ahead. In early 2014, anti-government protests focused on the country’s dire security situation became inflamed in the face of the heavy handed response by security services. The ensuing disturbances in urban centers across the country also catapulted Leopoldo Lopez to international prominence as an opposition leader. In February 2014, Lopez was detained and held at a military base on charges rights groups have called “politically motivated.” As of May 2014, he had yet to face trial. Venezuela is primarily a transit country for Colombian cocaine, and to a lesser degree heroin and marijuana. It also produces small amounts of coca, poppy, and marijuana, and is a source of precursor chemicals used to produce cocaine. In 2011, the US government estimated that between 161 to 212 metric tons of cocaine left the country by land, sea, and air. Sources in the DEA have estimated that over 200 tons of cocaine passes through the country each year. The high amount of narcotics seized inside Venezuelan indicates the high quantity of illicit drugs that pass through the country. The United Nations Office on Drugs and Crime (UNODC) has calculated that Venezuela ranks fourth in the world in terms of cocaine seizures. According to Venezuelan government statistics, the security forces seized 42 tons of drugs in 2011, including 26 tons of cocaine. Because Venezuela is a transit country, many of the criminal organizations that traditionally profited from Venezuela’s drug trade are Colombian. Mexican organizations like the Sinaloa Cartel may have also established cells in Venezuela in recent years. Venezuelans were primarily involved in moving drug shipments and organizing logistics, and were paid to guarantee the safe passage of the product. However in recent years Venezuelan organizations have moved beyond simply transporting drug shipments and now purchase, store it, and traffic it themselves. Venezuela has been described as the “kidnap capital” of South America, and the phenomenon has been increasing steadily since 2000. According to government statistics, 1,150 people were kidnapped in Venezuela in 2011. However, police have said that 80 percent of kidnappings go unreported. “Express” kidnappings — where victims are held for only a few hours or days — are also common, with entire gangs in Caracas dedicated to this activity. Corrupt elements in the Caracas city police were known to play a major role in running kidnapping rings, which is one reason why the force was disbanded in 2011. Venezuela has restrictive gun laws, banning the commercial sale of guns and ammunition in 2012. The government has also sponsored mass disarmament campaigns. However, the country still suffers high rates of gun violence with an estimated 79 percent of all homicides carried out with guns, according to a 2009 study by the International Action Network on Small Arms. The government has been criticized for contributing to gun violence, by distributing weapons among pro-Chavez militia groups. There are concerns that some of these distributed weapons may have also ended up in the black market. There is evidence that weapons from official stockpiles have ended up in the hands of organized criminal groups. Several Swedish-produced anti-tank rockets, originally sold to the Venezuelan military, were later found in a FARC arms cache. And according to the US Treasury Department, a high-ranking military official, General Cliver Alcala Cordones, was involved in a guns-for-drugs trade with the Colombian rebel group. Colombian officials have also said they seized weapons from criminal group the Rastrojos which were allegedly traced back to the Venezuelan military. The Financial Action Task Force (FATF), an intergovernmental organization that reviews global money laundering trends, Venezuela is only partially compliant in enforcing anti- money laundering laws to an international standard. It is believed that large-scale money laundering operations occur in Venezuela , partly enabled by the country’s parallel currency exchange market, in which bolivars are exchanged to US dollars at a much higher rate than that allowed by the Venezuelan government.